"God's love is endless" is an appropriate sentiment for anyone going through a difficult situation. Encouragement cards are always received as a blessing because the recipient is reminded that someone cares. The sunrise lily on the front of the card was stamped, heat embossed, colored, die cut and shaped on vellum. 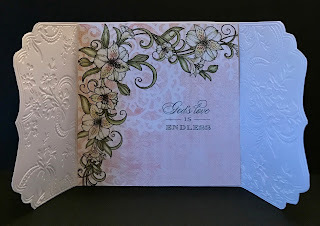 The flower stamp, die, and patterned papers I used are all from the Heartfelt Creations Sunrise Lily Collection. 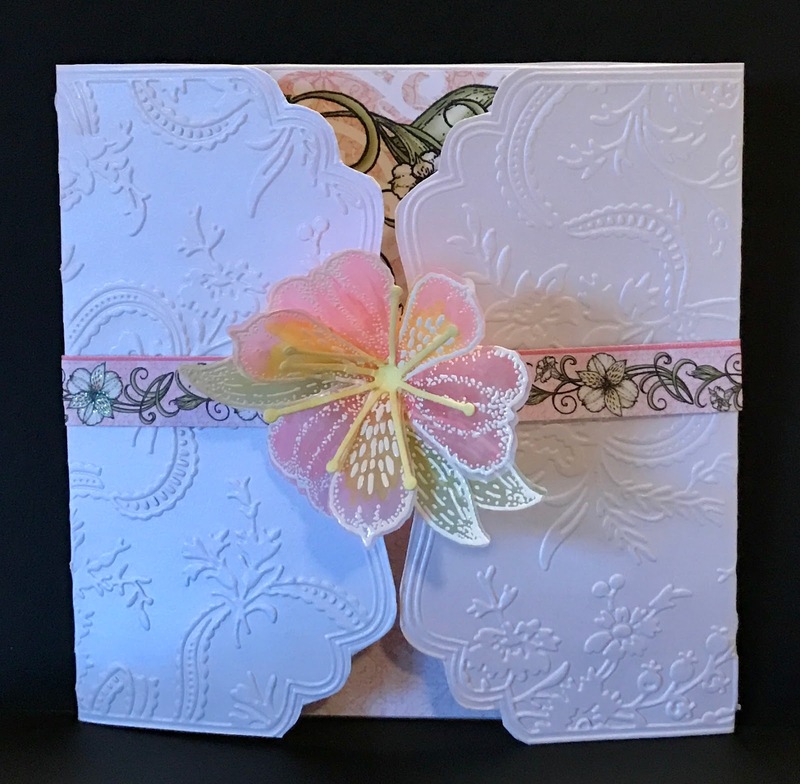 Glitter adds the sparkle and shine to the flowers inside the card and on the outside band. An Anna Griffin gatefold embossing folder created the card base. The inside sentiment is from an Anna Griffin stamp. It all came together beautifully and is handmade with love. Do you like to give encouragement cards? Have you ever received an encouragement card? Let me know in the comments below. What a lovely card and sentiment!